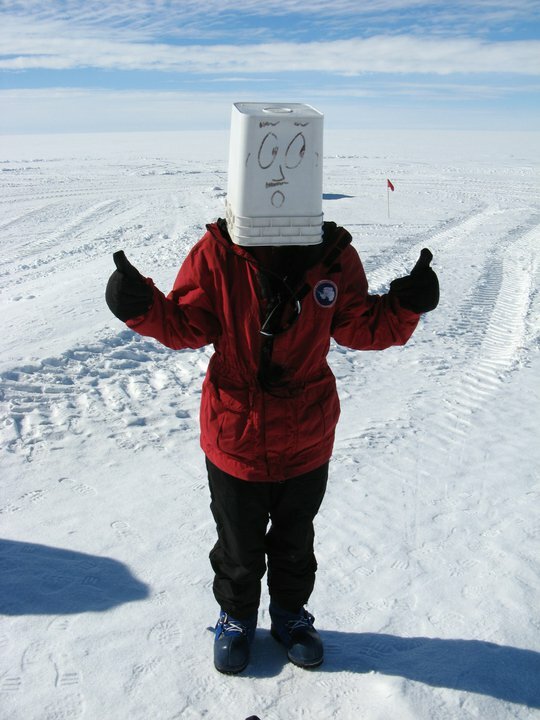 Tehnuka in Antarctica – she is currently a PhD student at Cambridge studying volcanology! After seeing all the interviews Beaulah has been doing after the past week, I thought it was time someone interviewed her. We’ve been friends for fourteen years now, and writing companions for much of that time. While I’ve been lucky enough to see quite a lot of her writing process, we’re on opposite sides of the world now and this seemed like a good opportunity to hear her reflect on where she’s at and how far she has come. Do you remember when you first started writing? When did it first occur to you that you wanted to be a professional author? I remember getting an ‘achieved’ (a ‘just’ pass) in my fifth form English class (age 15) for my creative writing. That was when I decided I didn’t like English anyway and that I wanted to be a nano-robotics engineer. Unfortunately, I was terrible at Physics and didn’t much like Chemistry or Biology. The next year, I was lucky enough to be in an English class where no one else paid much attention and so comparatively, I wasn’t so bad. My grade lifted to ‘Excellence’ and my teacher was really supportive. Still, it wasn’t until I undertook my first Nanowrimo that realized writing could be fun. When did you start writing full time? Was there a catalyst that helped you, and was it a sudden or a gradual decision? Could you describe some of the milestones between first thinking about becoming an author and where you’re at now? For example, when did you realise that becoming an author was an achievable goal for you? Hah, I still have no real evidence that it’s a realistic goal – I’m pretty much going on faith and a whole lot of determination to make it work. For me, the decision was about whether I was willing to stick it out until I ‘made it’, and I talked it through with my parents and my partner who have all been really great about it. I’ve just been blown away by how much support I’ve received from everyone. In terms of milestones though, I think some of the big ones were self publishing my first book – The Silver Hawk – and finally having it out there for people to read. Getting used to, and beginning to really appreciate feedback – learning to love how much it makes my writing grow. My book launch was a huge step too. I got to sign books for people and turn it into an event I’ll always remember. Going to writing conventions and meet-ups has also been great. It gives me an idea of where I’m at and reminds me that ‘real authors’ are just people too. I feel more like a ‘real author’ every day. How has publishing your first book affected your everyday writing habits and how you feel about your characters and writing? Has publication given you new pressures, or support? Self Publishing my first book has been fantastic – and such a journey. Now that it’s out there, hardly a day goes by that someone doesn’t ask me ‘how’s the writing going?’ There is a lot of pressure for the next book to come out, which is my own fault for writing it as a trilogy, but I appreciate how much people want to keep reading. Their support gives me the motivation to sit down at the computer and keep working. My characters have grown so much since the early days of writing the Silver Hawk. My writing even more so. Publishing the first book has given me something that’s ‘cannon’ – which I need because I have an awful habit of changing my mind about really big things in the search for the ‘perfect story’. I’m always forcing myself to simplify now, to cut out unnecessary sub-plots and focus on what’s important. What inspired you to start the Christchurch Writers’ Guild? I’m trying to remember now. I think it was the discovery, in a short space of time, that there were actually quite a lot more writers in Christchurch than I thought. I realized how isolated writers can feel and how joining big official groups can feel a bit daunting, especially when you’re not ‘properly’ published. Around that time I met Angela Oliver and pitched the idea to her. She came up with the name of the group and we launched it on Facebook – each inviting our writer friends. Within about a month, our numbers had swelled to about thirty and now, six months on, we’re a group of sixty with our own website, logo and four person admin team. We’re organizing competitions, critiquing circles and soon we’ll be running our own writing workshops. People have asked me how we’re different from the other writing groups which have been around for some time in Christchurch, and really, I think it’s that we’re totally open and welcoming. You don’t have to prove yourself to join and you don’t have to spend any money. I wanted to create a community to connect writers together and remind us that we’re not alone. While a young author yourself, you’ve already started encouraging the next generation of writers. How did you first start becoming involved in the local writing community – was it when you were first publicising The Silver Hawk and started teaching writing courses, or was it even earlier? I’ve always loved teaching, so it was a natural step to begin teaching writing. I was really fortunate to become involved with my local library through the whole planning process for my book launch (and the Young Writers’ Competition I ran alongside it). In the week leading up to the launch, I ran a Writing Workshop and it was so much fun that I spoke with the library about making it a weekly thing. They said yes. 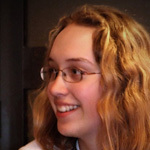 From there I found my niche teaching home schooled students and haven’t looked back. How has your involvement in that community affected how you write (both in terms of content and in terms of your approach to writing)? From the writing we’ve done together, I think we might agree that writing can be a very sociable event. How do you balance private writing time with getting feedback from, or practising your writing with, others? Which, if either, is more important to you? I love collaborative writing. I love how much inspiration I get from telling people a story out loud and seeing their response. As an extroverted person, I have often worried that I don’t fit the reclusive writer mold – and that somehow my writing will never be as good for that reason, but I’m slowly coming to terms with the way I write and I’ve stopped berating myself for needing to talk through my ideas. Ultimately, my best writing is done alone, but after I’ve done it, I feel this overwhelming need to share it with someone, just to check that it’s as good as it feels. I’m a little scared of becoming a ‘successful author’ for that very reason. It would be horrible having to write all by myself! Do you ever tire of writing? Sometimes I don’t want to write, but it’s not tiredness, it’s mortal fear. I’m horrified that I don’t know what happens next, that I’ll get it wrong and waste weeks worth of work, or worse, not notice how horribly flawed my characters and plot have become until it’s out there in black and white and everyone’s given up on reading my work because it’s rubbish. The rest of the time, I love it. What sort of insights do your characters give you, not just into the worlds you build, but into the world around you? What’s the most unexpected thing you have learnt from your characters? I think that concept of standing in another person’s shoes has taken on a whole new meaning as a writer. I find myself having to explore dark, cruel, selfish villains and still finding the grain of humanity in them which pulls them up off the page and keeps them from being boring and two dimensional. In the process, I keep thinking – everyone has their reasons for what they do. If we had lived their life, would we be any different? Maybe… but then again, could you ever really know? Many thanks to Beaulah – I look forward to seeing what you get up to next! – And thank you Tehnuka for taking the time to come up with such wonderful questions. This was fun! Check out Volcanofiles where Tehnuka contributes some occasionally humorous and always well written blogs on topics such as Volcanos and Society! Another great interview. It was really nice to learn more about you, Beaulah!